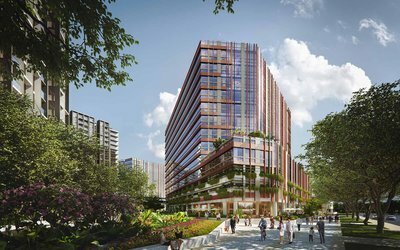 Paya Lebar Quarter, a mixed-use development covering 3.9 hectares in the heart of Singapore, has won planning approval as developers unveil full details of the scheme. The S$3.2 billion landmark development by Lendlease and Abu Dhabi Investment Authority (ADIA) will feature three Grade A office towers, three premier residential blocks and over 200 shops with an exciting range of indoor and outdoor dining offers. 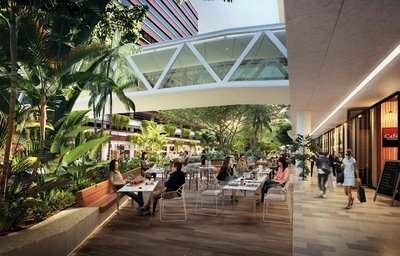 Grant Associates has created a landscape strategy for over 100,000 sq ft of public realm across the new quarter, which is situated in the historic and cultural districts of Joo Chiat and Katong. 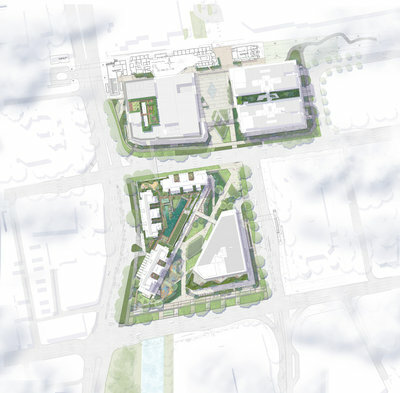 The landscape strategy will use water and green space to unify the different public spaces comprising the complete development, dovetailing with designs by the scheme's architect DP Architects. The Plaza responds to the most urban part of the site and provides a distinctive new urban plaza that has the versatility to cater for events and cultural celebrations. The Promenade reveals a greener character through the residential part of the development with a series of unfolding vertical landscapes that connect the buildings to their surrounding landscape. This includes a large residential elevated deck and associated building terraces. An outdoor children’s playground provides opportunity for play among magnificent trees. 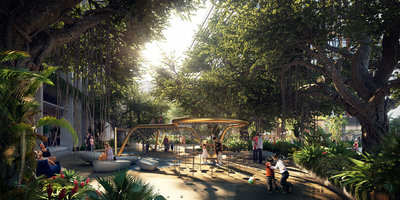 Inspired by a mature Banyan tree that previously grew at the site, the playground uses elevated walkways to enable people to engage and interact with different parts of the trees and their canopies. The public realm for Paya Lebar Quarter sets an important benchmark for urban sustainability in Paya Lebar. This includes a fully integrated and dedicated cycle way that is connected to the adjacent Path Connector Network (PCN) as well as a sequence of richly planted songket themed vertical garden terraces for the façade of the residential car park. In addition, the public realm features an integrated Active Beautiful and Clean (ABC) water storey in the form of terraced rain gardens to cleanse urban storm water run-off before re-directing it back into the Geylang Canal. Paya Lebar Quarter is due for completion in the second half of 2018. Mike Wood, Senior Associate at Grant Associates, comments: “From the outset, the vision for the Paya Lebar Quarter public realm has been to generate an exciting sequence of spaces that is completely integrated with the rest of the built development. It was to be a distinctly ‘green’ complement to a strong urban framework. 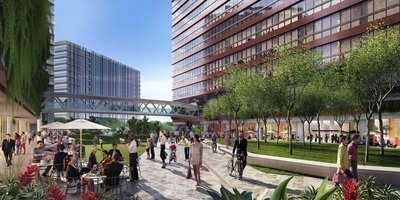 Paya Lebar Quarter will define a new benchmark for the development of urban public realm in the east and Singapore as a whole.